One-light LED flush mount with etched glass surrounded by a die-cast aluminum frame. Ideal for indoor and outdoor applications. Available in Antique Bronze and Black finishes. 5-year limited warranty. Please call 1-800-453-2138 for complete details. Classic round trim flushmount provides light for service porches, hallways, and baths. Full coverage flushmount easily hides existing ceiling flushmount opening. Suitable for damp locations. Perfect for bath, kitchen, and service porch areas. Explicitly simple and lucid, this light is fitting for any setting - classic, modern or trendy. It is clean cut and its pearl ivory glow is unmatched in elegance and quality. Mounting hardware included for quick installation. Feit Electric LED Rectangular Flat Panel Flushmount integrate the latest in LED technology with a low profile design not previously available with conventional light fixtures. New LED lens technology channels the light emitted by the LEDs on the side of the fixture and directs the light downward creating uniform light distribution without hot spots, flicker or glare. The streamlined design of these LED flat panels combined with patent pending easy-to-install mounting brackets enables simple installation in both residential and commercial buildings providing 80% in energy savings and 50,000 hours of reliable light. The Round 13in.Low Profile Bronze decorative LED Flush mount from Lithonia Lighting features an acrylic diffuser with a sleek, compact design. Choosing this energy-efficient LED lighting solution over incandescent will save you money on operating costs. Best of all, the LEDs last 50, 000 hours, so you never have to change another bulb. Ideal for hallways, bedrooms, offices, stairways and many more commercial or residential applications. 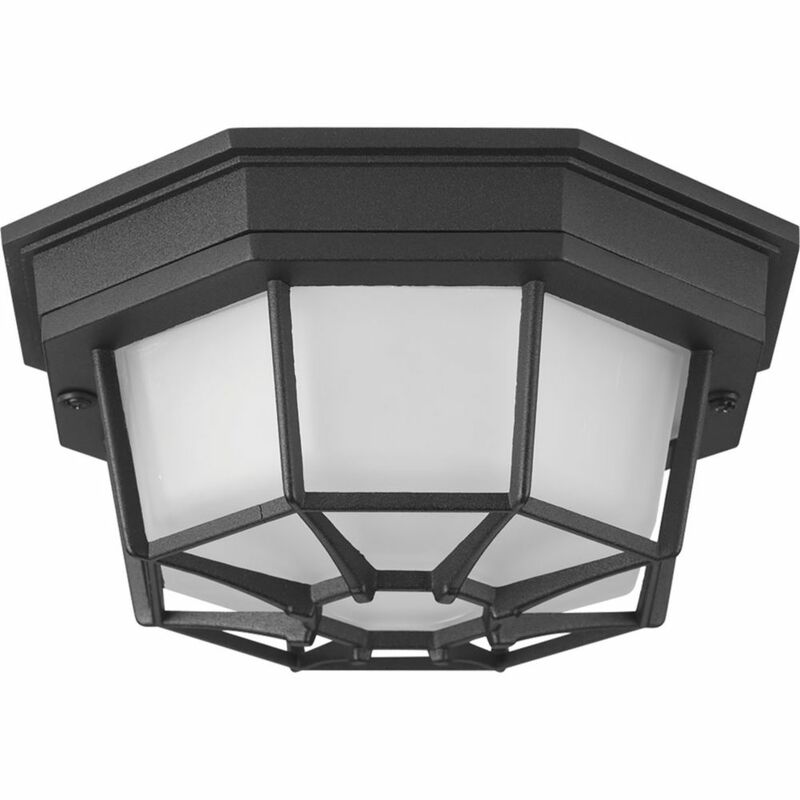 Milford Collection 1-light Black LED Flushmount Fixture One-light LED flush mount with etched glass surrounded by a die-cast aluminum frame. Ideal for indoor and outdoor applications. Available in Antique Bronze and Black finishes.